Bristol-based (England) Californian quartet ANEMIC return with their third album, ‘A Combination For Disaster’. Their single “Forfeit” was playlisted on Scuzz TV. ANEMIC’s third release ‘A Combination For Disaster’ was produced by guitarist Daniel Peters and the results are Bigger, Heavier, Better, More Mature and Catchier than ever. 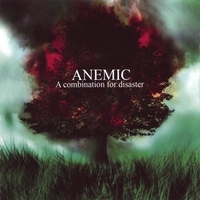 In 2005 ANEMIC shared the stage with bands such as ARMOR FOR SLEEP, DAYS OF WORTH, DEVIL SOLD HIS SOUL, FONY, DAYS IN DECEMBER, DOPAMINE, ELECTRIC EEL SHOCK and THE BLACKOUT. In 2006 ANEMIC have already landed support slots with THE JULIANA THEORY, STILL REMAINS and HASTE THE DAY with more shows to follow.